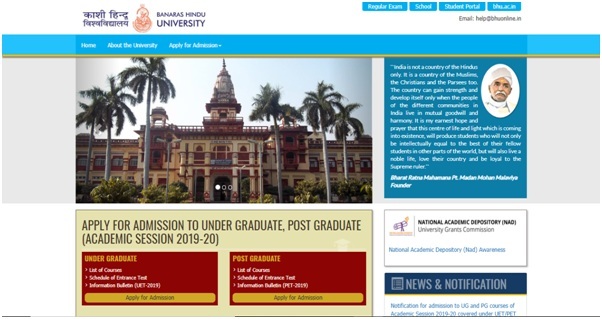 Banaras Hindu University Mcom Admission Form : The Banaras Hindu University (BHU), founded by Mahamana Pandit Madan Mohan Malaviyaji in 1916, is one of the most prestigious Central Universities in the country. An autonomous institution of distinction having the Hon’ble President of India as its Visitor, BHU is the largest residential University in Asia. Being a living embodiment of such visionaries as Mahamana Malaviyaji, Dr. Annie Besant and Dr. S. Radhakrishnan, this seat of learning epitomizes a synthesis of ancient wisdom and modern scie ntific temper. The holistic model of education, conceived and enriched by its illustrious founder, offers refreshingly new perspectives to young minds and nurtures and facilitates their creative talent. 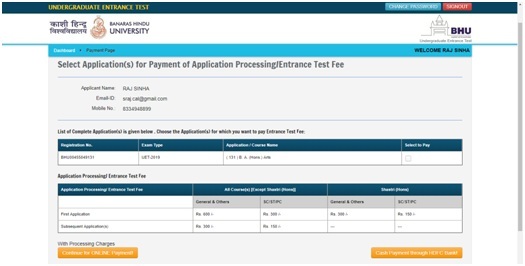 Step 1: Please click on “Apply for Admission” button given on the home page of the BHU Entrance Test Portal. 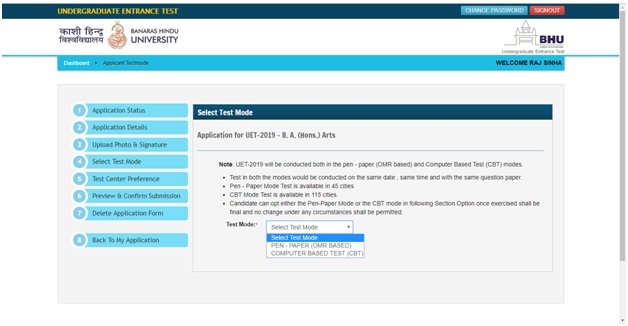 Step 1: After activation and validation of your Registration on the BHU Entrance Test Portal (www.bhuonline.in), you can login into the programme. 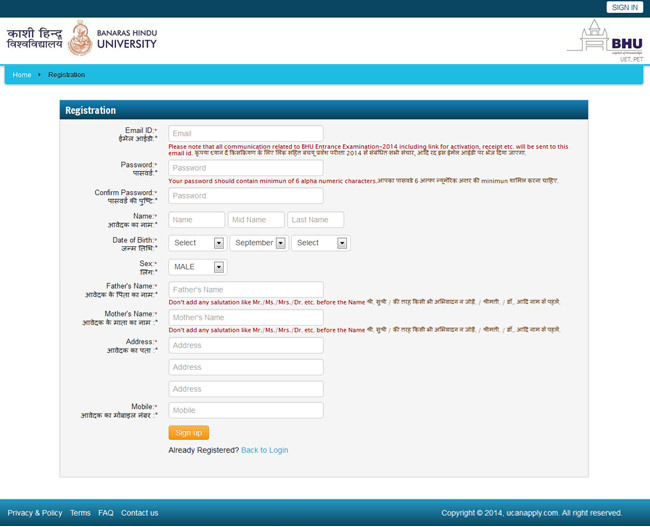 After login you will be able to see the following page with the title “Status of Submitted Applications”. Step 1: After adding the course of your choice, following screen will appear showing status of submitted application. 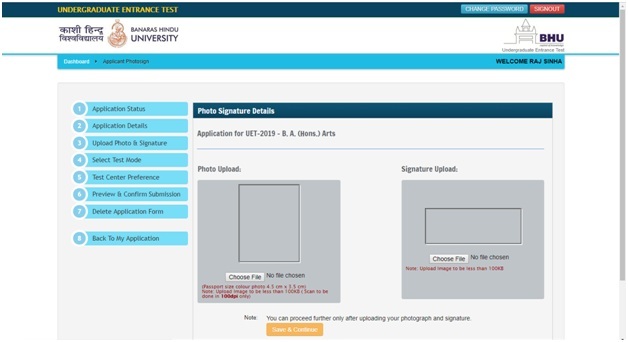 On the left panel, various other buttons such as ‘Applicant Details’, ‘Test Centre Preference’, ‘Upload Photograph and Signature’ etc are given. These are various sections of the form. 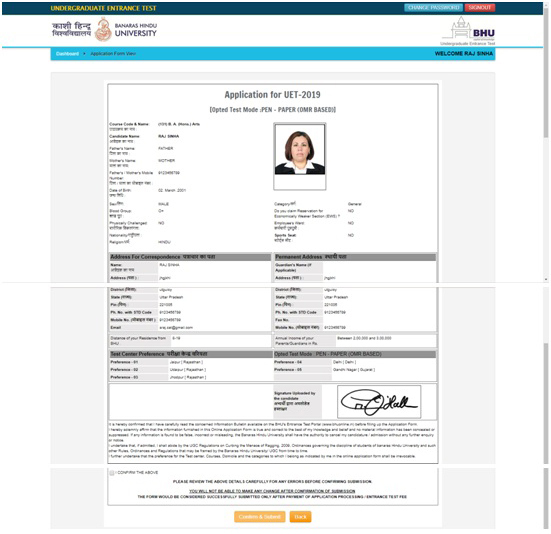 Application Status section shows which sections of the form is complete and which is incomplete. You can click the left panel button to go to the section of the form which are incomplete. 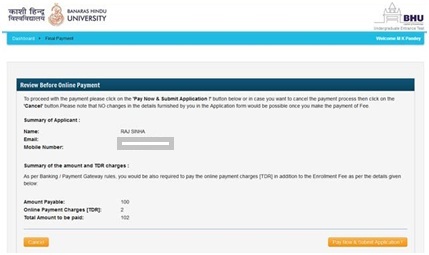 Step 2: After you have added the first course of your choice and come to the above screen, all the four sections of the Application Form would be shown as incomplete. 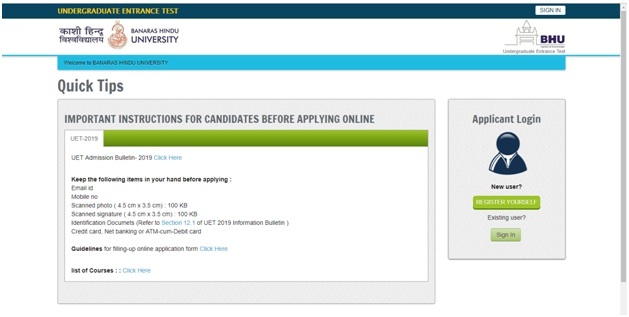 Click on the ‘Applicant Details’ button on the left panel. 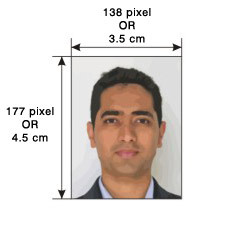 On clicking, following form will appear on the screen. Some of its fields would be pre-filled with the details you gave at the time of registration. Fill up other required details correctly. 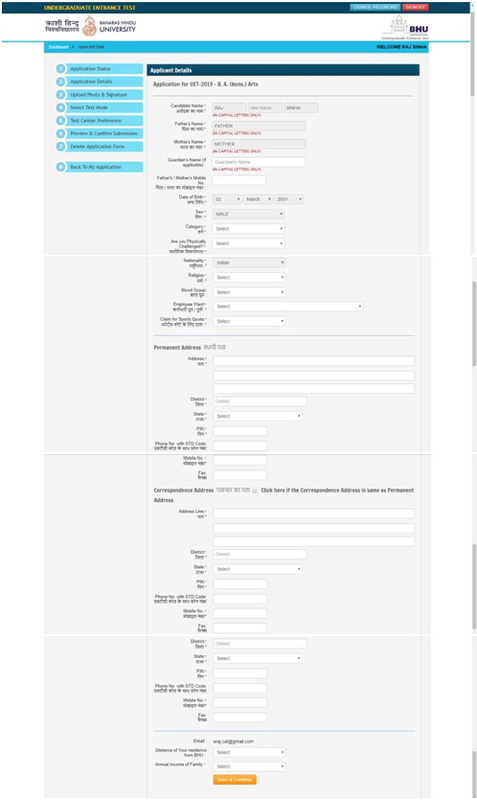 Step 3: After you have filled up all the required fields of the ‘Application form’, Click on the ‘Save’ button given at the bottom of the page (as shown above). Step 3: After filling up all your preferences click the ‘Save and Continue’ Buttom given at the bottom. If you are sure that all details are correct and you do want to submit the application then click on the button “Proceed for submission and payments”. When you click on the button you would be shown a page which lists the various applications which are completed. There is also a small declaration which is to be confirmed. 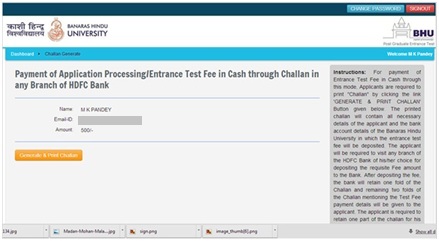 Select the applications you want to submit and click on the declaration after reading it thoroughly. This is important.